The popular Fearless Girl statue now stands in her new home in lower Manhattan, staring down the business center of America. Jummy Olabanji reports. The "Fearless Girl" statue has a new home -- directly across from the New York Stock Exchange. The "Fearless Girl" statue near Wall Street that became a global symbol of female can-do business spirit was moved Monday from her spot facing the "Charging Bull" to a location across from the NYSE. The ponytailed girl in a windblown dress became a tourist magnet last spring when the artwork popped up confronting the famous bull that was a symbol of the American financial resilience in the wake of the 1987 stock market crash. 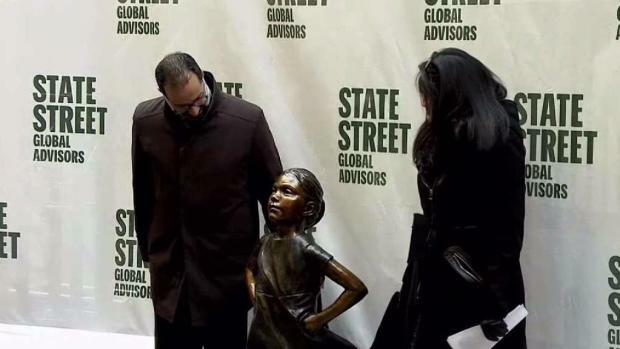 State Street Global Advisors, the firm that installed the "Fearless Girl" statue in March 2017, said the "Fearless Girl" was now in an even more important position. The "Fearless Girl" was unveiled in her new, permanent home on Monday. "The "Fearless Girl" now has a new home on a bigger stage that gives her message even greater impact: successful businesses need women leaders," it said. 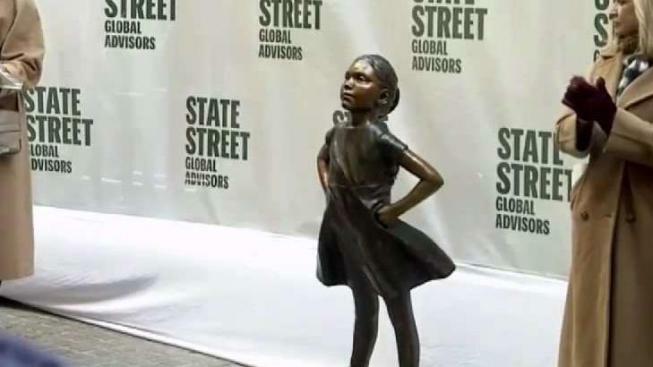 "Fearless Girl" was designed to call attention to a State Street initiative to increase the number of women on corporate boards.